Llamablue are Leading Squarespace Specialists and Developers in Australia. We can design and host your Squarespace website for your business. Ozshacks needed a new website that could display their unique shacks and pods for those that need that extra space but not looking to renovate. We put together a design that simple with a strong focus on showcasing their product. Bonney Pest Control needed to refresh the appearance of their website and expand the content within it. We collaborated with an external graphic design company to create and implement the design, which intended to freshen up the website and business branding. Mt Barker-Hahndorf Golf Club needed a new website that could appeal to customers in the Mt Barker & Hahndorf suburbs and surrounding area looking to play golf. We put together an updated design that was fresh and easily navigable for them, including a private members area. 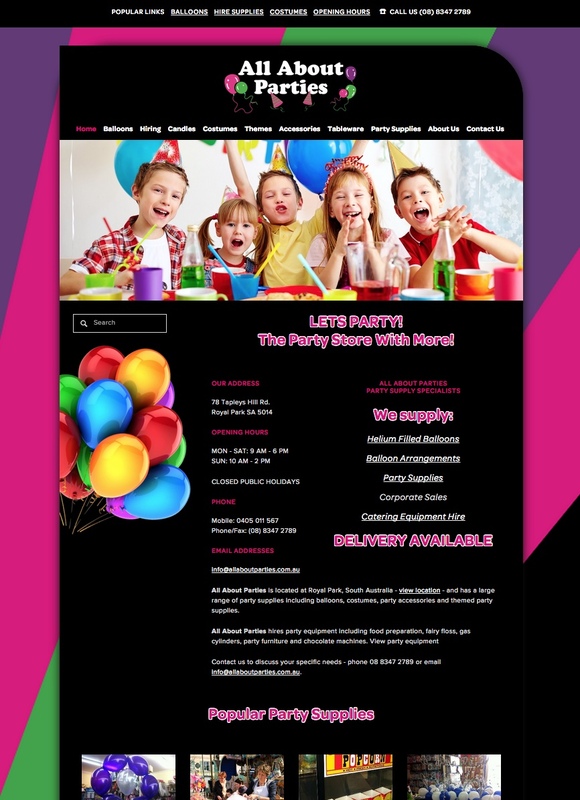 All About Parties needed a website that could appeal to customers in the Adelaide Western suburbs area looking for party supplies and balloons. We put together a design that provided common theming to their print media and at the same time an appealing and bold statement. 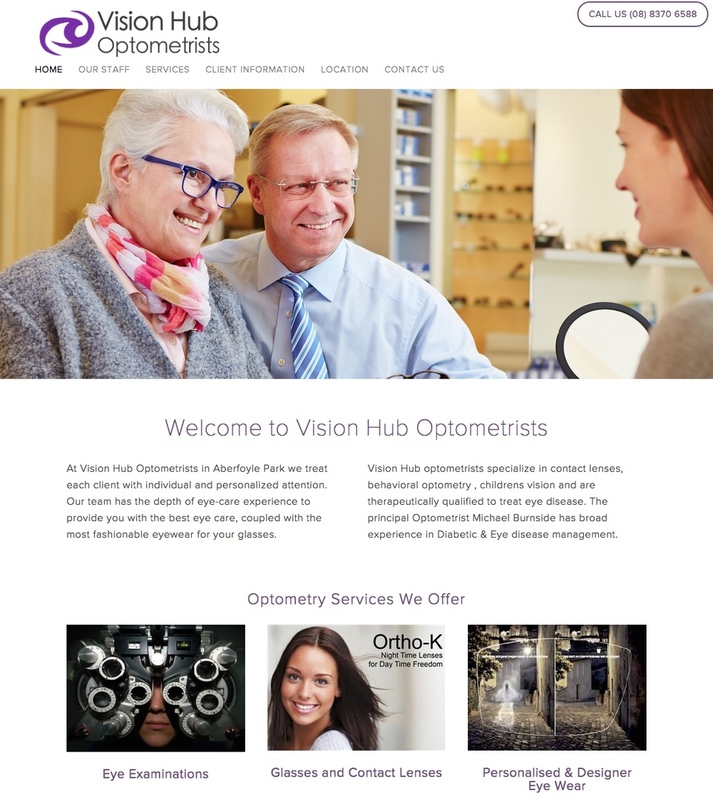 Vision Hub Optometrists needed a website that could appeal to customers in the Aberfoyle Park and Southern Adelaide area seeking eye related services and glasses. We put together a design that provided a striking message to their potential customers and lifted the visual appeal of using their optometry services. Mullen Lawyers needed a website that could attract clients to their legal services for people in the Victor Harbor, Fleurieu Peninsula, and Noarlunga / Christies Beach area. We put together a design that covers all areas of relevant law and highlighted their focus on wills, estates, probate and other areas. ABS Landscape Services needed a website that could showcase their landscape design work and commercial garden maintenance services. We put together a design that was image intensive and highlighted their quality and range of landscape and gardening work. Goldwell International Success Seminars and Coaching needed a website that could launch their business success seminar and business coaching service to corporate and business customers. We put together a design that highlighted the principal Adrain Sclander's extensive and wide-ranging business and life experience. 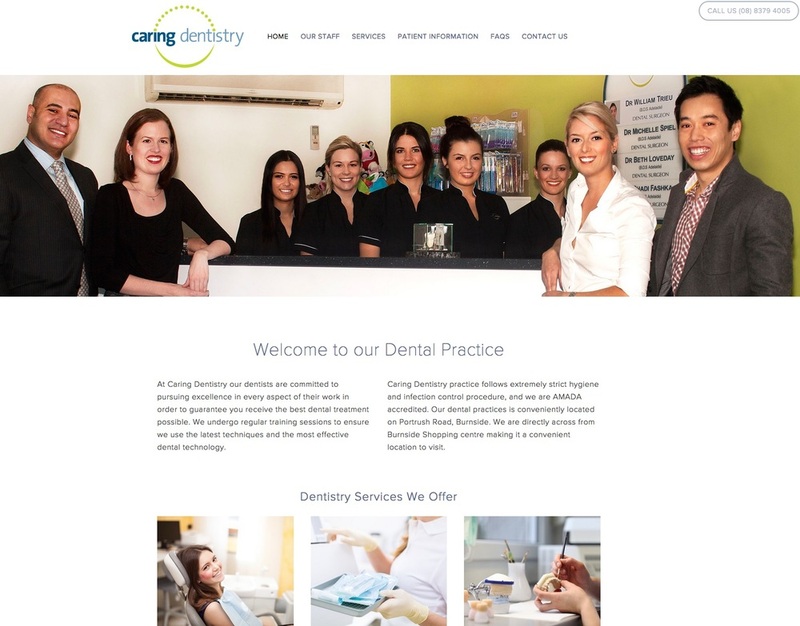 Caring dentistry needed an attractive and modern website that could appeal to customers in the Burnside and Adelaide Eastern suburbs area needing a general dentist or other dental services. We put together a website design that provided a clear message to their potential customers about the strength of the Caring Dentistry team. Flatmates McLaren Vale needed a website that was visually different and showcased six different McLaren Vale Wineries. We put together a design that allowed all six wineries the ability to contribute content. 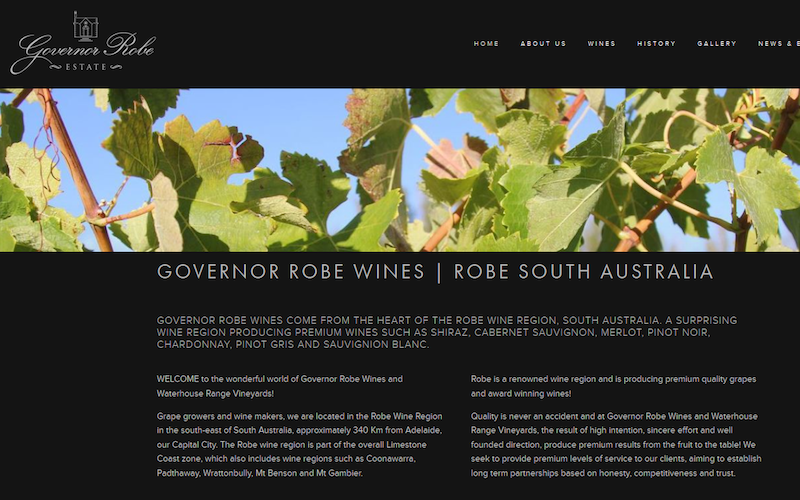 Governor Robe Wines needed a website that was visually different and showcased different Governor Robe Wines. We put together a design that included parallax screen views and an online store to purchase wine. Harbor Village administered by Victor Harbor Lutheran Homes Inc needed a website that was visually different and showcased different homes for sale in the retirement village. We put together a design that allowed all available homes to be displayed with details and image galleries. Hooves Paws and Claws needed an updated website to refresh their original website's outdated design. They also needed a content update and we were able to provide this along with an easy system to implement future content and design updates. Nacura Property Solutions needed a website to showcase their unique real estate business. They required the ability to keep the site constantly updated to keep the properties up to date, which we were able to provide with our system and training. Ocean Living Surf School needed a website to promote their business with an updated look and feel from their original site. They required a way to sell their lessons online, which we implemented for them. Olinda Bookkeeping needed to refresh the look of their site as they had rebranded their business logo. We were able to provide them with a sleek new look that matched their branding. Pinnaroo Motel needed a website to showcase their business along with a booking function to allow customers to book into the motel online. We were able to provide them with a design and functionality that they liked from a pre-existing customer that suited their business. Prospect Locksmiths needed a website to represent their new locksmithing business. We were able to provide them with a simple solution that showcased their business in a clean and easy to read format. Red Berry Espresso needed a website with a clean design that they could sell their variety of coffees online. We provided them with a design that matched their business branding. Red Star Catering needed an update of their website to bring it up to date with content and design. In addition they wanted a method for online orders to be placed, which we were able to implement for them. Rusty Fish Gallery needed a website to showcase their various artworks. We worked with them to create a design that flattered their work. Savvy Organic rebranded their business and needed their website to be updated to match this. We were also able to provide them with some extensive content updates in the process. Something Else Bath and Body needed a refresh of their website to bring the design up to date to sell their unique bath soaps. South Coast Sand & Civil needed a refresh of their website to give it updated functionality and design. Vivonne on Sunset needed a website to showcase their accommodation business. We were able to provide them with a site that showcased their accommodation and featured online booking. Ready Gas needed a new website for their business that would serve to advertise to potential new clients and offer an online location for existing clients to place orders for various gases. We put together a clean design that allows the content to be clear and consice and easy to navigate. Llamablue ARE SQUARESPACE SPECIALISTS in Australia PROVIDING Squarespace web design, SQUARESPACE FIXES AND Squarespace websites THAT can integrate an online store with Squarespace using ECWID. Llamablue Squarespace specialists design, develop and manage their customer web sites using Squarespace content management system (CMS) to ensure that our sites are clean, cutting-edge and, above all, easy to manage. We provide Squarespace specialists that can tweak or fix issues with your Squarespace website. An efficient CMS means your site will be built quickly, and any changes that need to be made can get done without you having to pay for hours and hours of a content editor's time. Once your site is set up, you can even log- on yourself and add new pictures or text, add more pictures to your slideshows and galleries, update contact details or just tweak the working of a sentence that isn't quite right. Got a Question and Want To Talk to a Squarespace Specialist? "Things are going well with the website. Lots of compliments." Stay tuned because we will be in contact with you very soon to get things moving along.